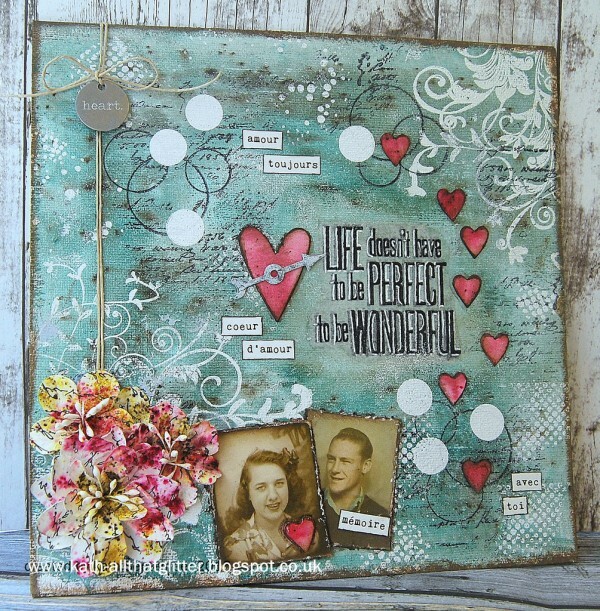 Thank you for joining us for the Inspired By Music Challenge and we hope you will all join us again this week too. 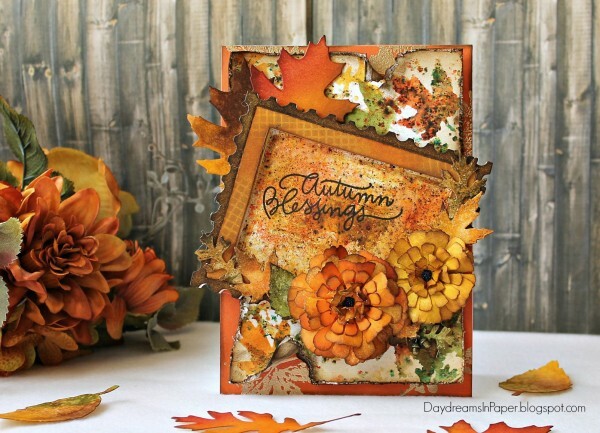 Use Embossing Powders or Pigment Powders. 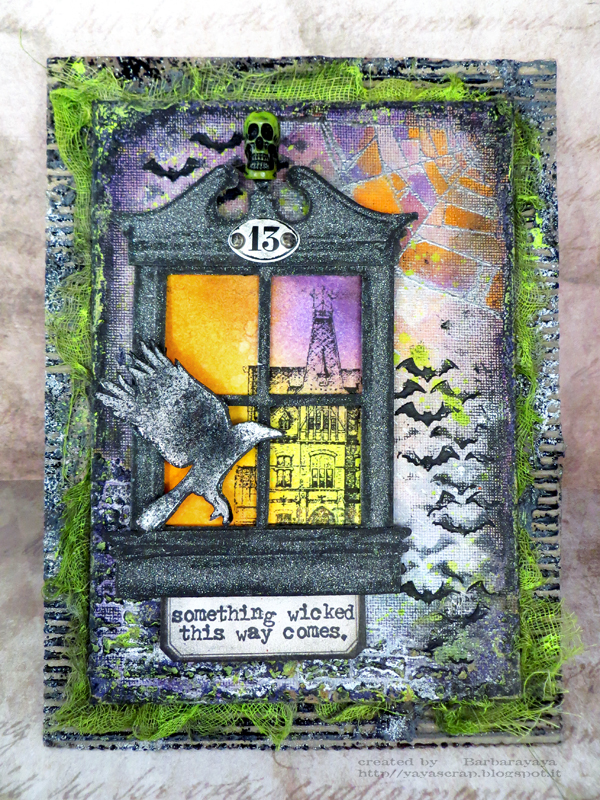 Andrea had fun playing with Tim’s Holtz’s Patchwork Pieces stamp set, black embossing powder and Infusions powder stains in A Bit Jaded and Are You Cerise. 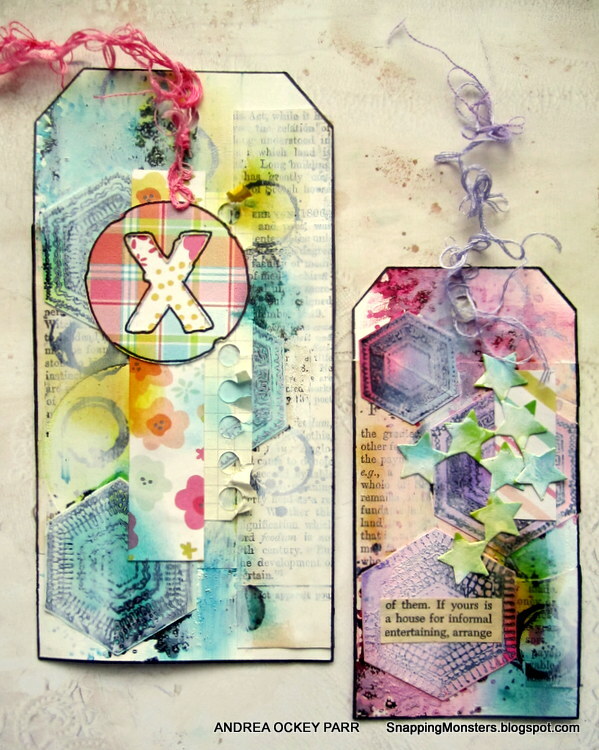 Anna-Karin loves the magic of embossing powders and made a tag using lots of it, both clear and metallic powders. The background stamp is a Damask stamp by Tim Holtz. 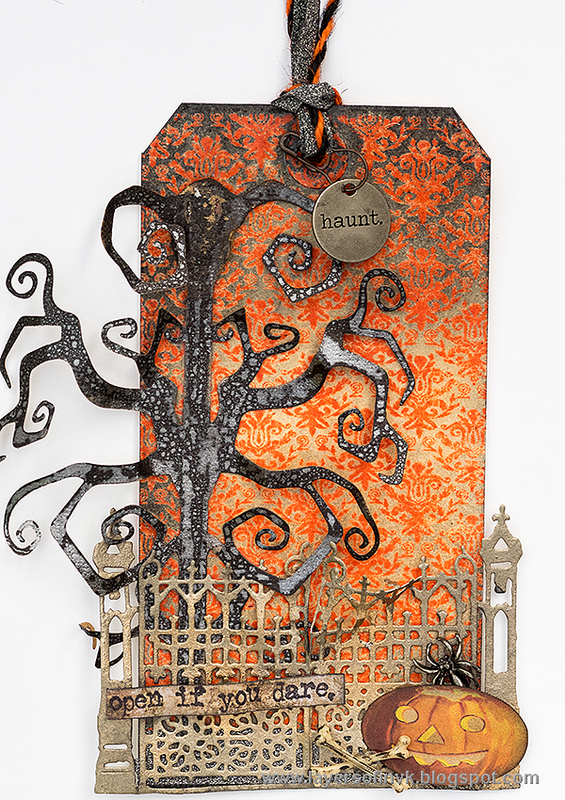 Barbara is in Halloween mode on: various embossing powders, a lot of Idea-ology and Regions beyond set by Tim Holtz to create a themed panel! Cathie created a card celebrating bright autumn colors using Paper Artsy Infusions and Ranger Gold Embossing Powder. 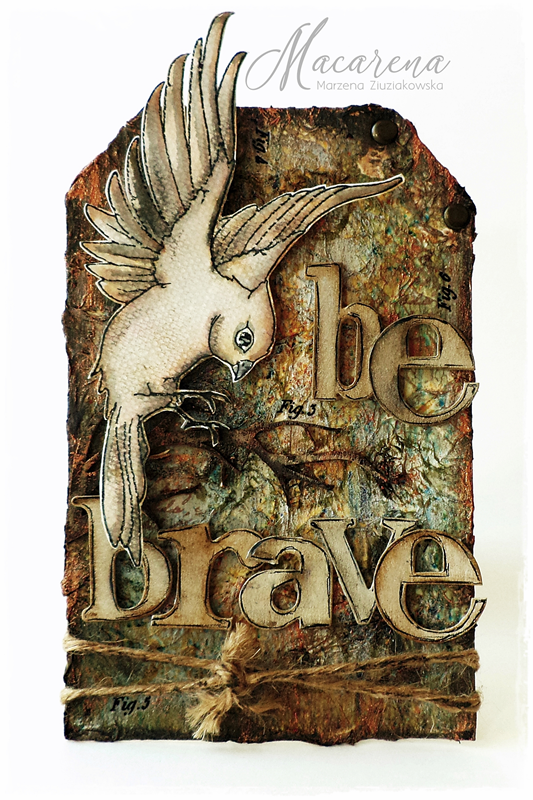 Cheiron used Hero Arts Black Detail Embossing Powder to emboss her Concord & 9th Lace Leaf before she watercolored it. 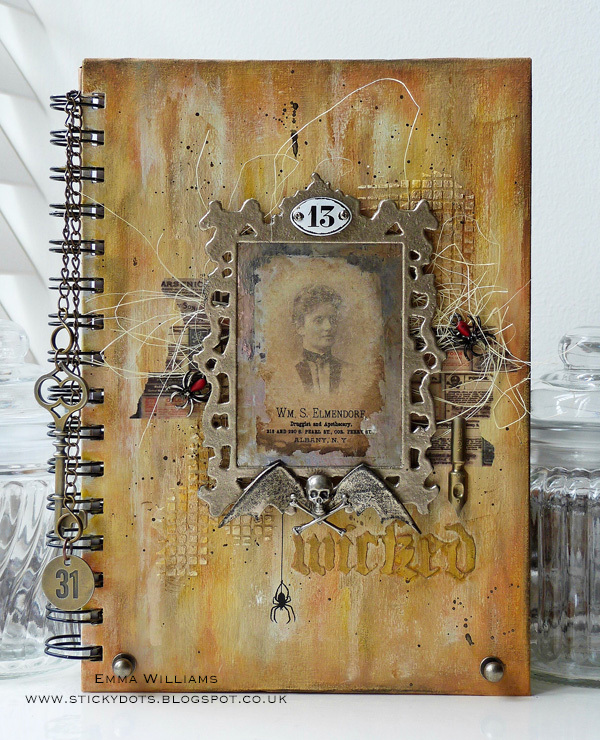 Emma created an altered book cover and embossed a die cut Ornate Frame with Liquid Platinum Embossing Powder to create a focal point for the wickedness that lies within! 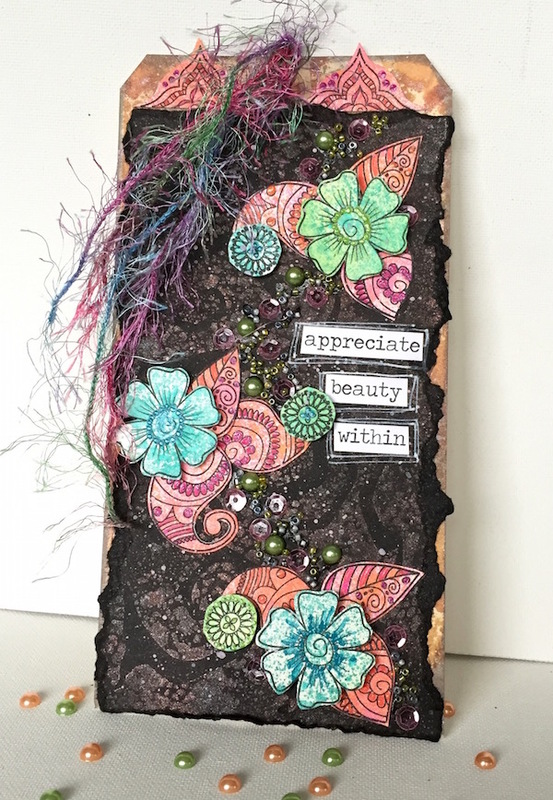 Maura found her Powder Power with Lindys Stamp Gang and the Stamptember Simon Says Stamp’s Henna Patterns, and made a cool discovery with Tim Holtz’s Twisted Stencil! 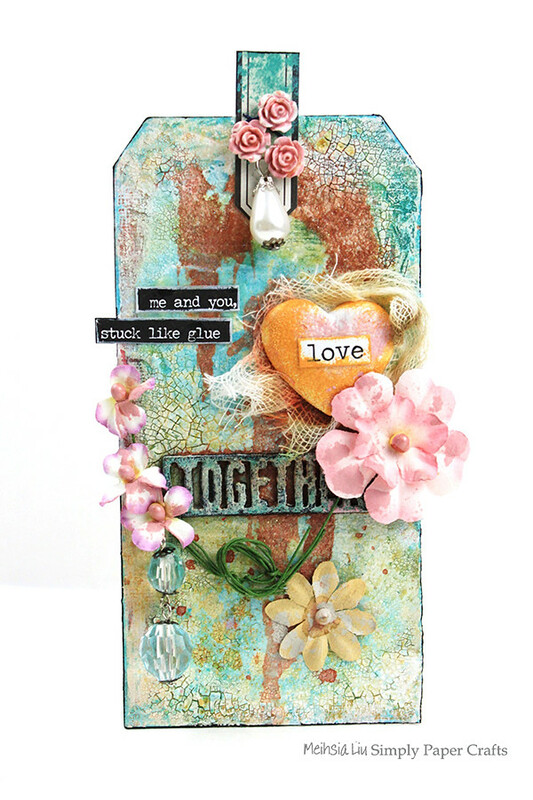 Meihsia was inspired to create a mixed media tag using Ranger Clear Embossing Powder and Prima Flowers to decorate the tag. 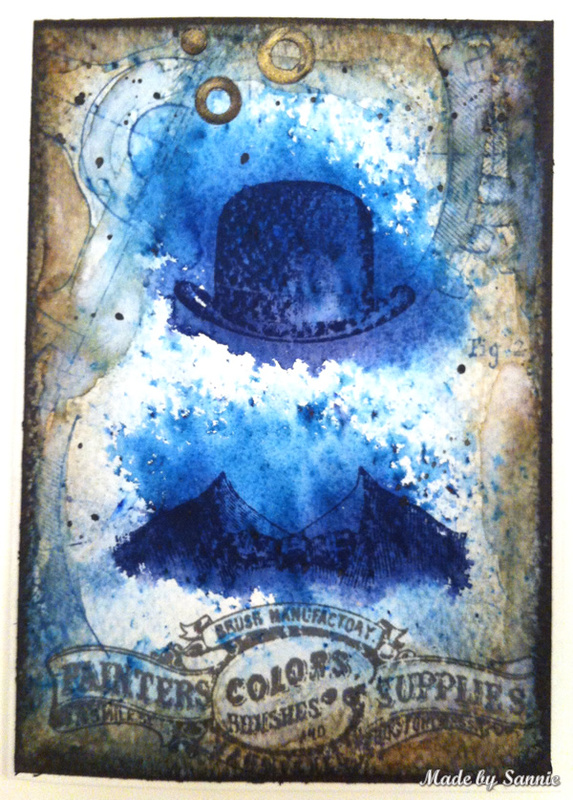 Sandra made a masculine card with Brusho Prussian Blue and Heirloom Gold Perfect Pearls Powder. Wonderful powder creations. Not sure i know what pigment powders are. I like to watch the embossing powder melt as the heat tool is used. Not seen infused powder stains and this is wonderful. Please tell me whether you also digital works are accepted ? Wow! The Design Team REALLY outdid themselves this time! Love these inspiring projects! Thank you for the challenge and DT inspiration! Stunning works by the Design Team-Lovely! Love all the creations by the Design Team for this theme!